This year’s edition of BAC includes a featured toss juggler (Gamal Garcia Tuniziani), a rola bola artist (Jan Damm), and a Risley act (The Anastasini Brothers), so there is plenty of juggling for everyone. Other acts include flying trapeze (Flying Tunizianis Troupe), high-wire (The Wallendas), trained horses and dogs (Jenny Vidbel), clowns (Grandma [Barry Lubin] and Mr. Joel Jeske), contortion (Elayne Kramer), Roller Skaters (Dandino and Luciana), and Ringmaster (Ty McFarlan). 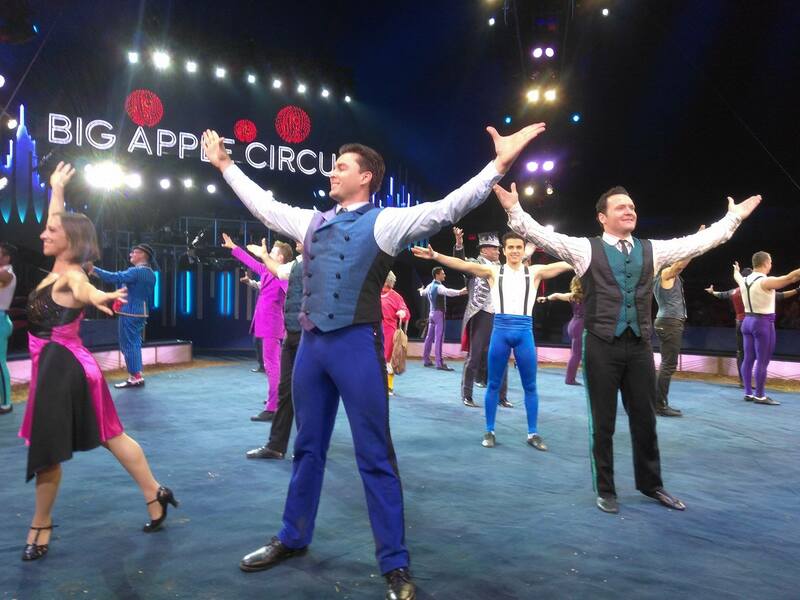 Big Apple has returned to the traditional format and deliberately distanced itself from the ‘new-circus/Cirque du Soleil’ style that has consumed the industry. There is no ‘plot’ or ‘theme.’ Everybody isn’t dressed like an insect or a robot. There is a ringmaster who introduces acts, and clowns that delight the children while the roustabouts set up the riggings in between. 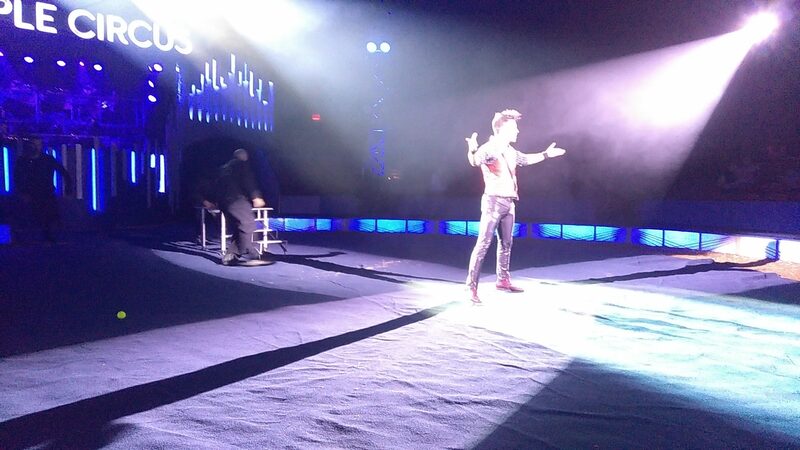 And a single ring tent, not a green-screen changing movie backdrop in a basketball stadium. The acts are on the highest level. The trapeze artists do a triple and quadruple somersault. 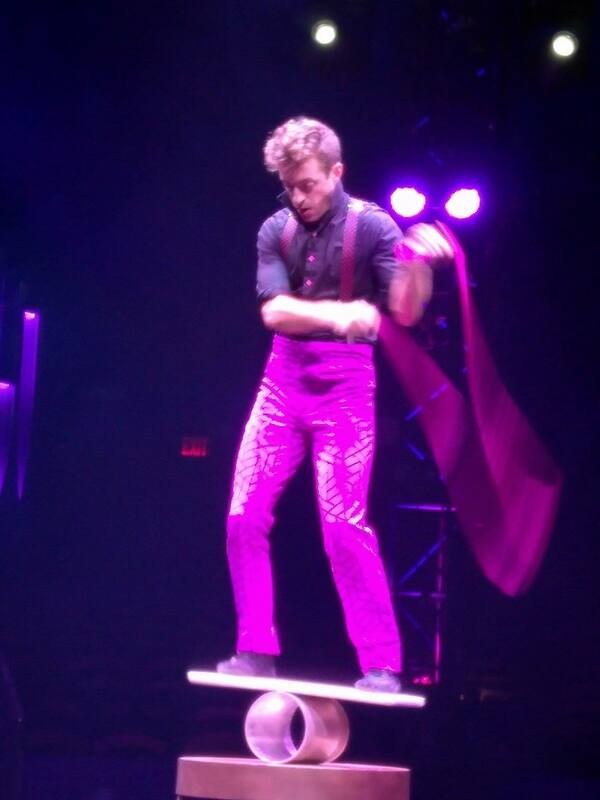 The high-wire act is the Wallendas. Yes, the real actual Wallendas that have numerous world records and execute the infamous seven man pyramid which has cost the lives of several of the family members in the past. 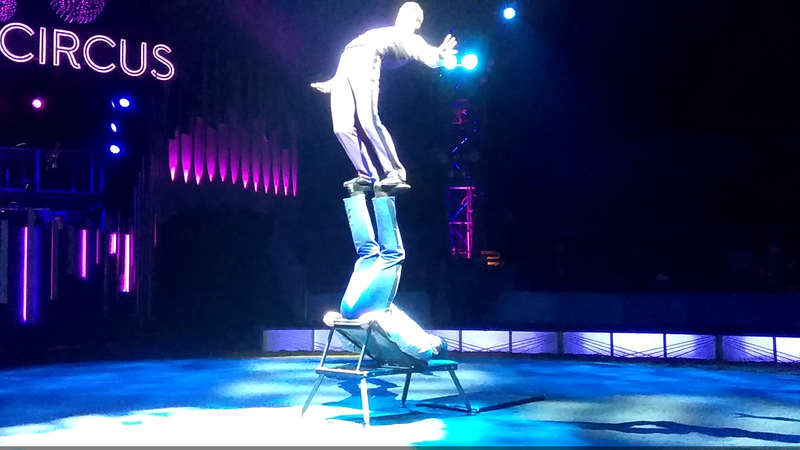 The finale of the night is the Wallendas performing this legendary stunt. 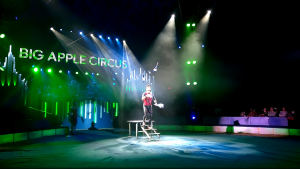 “I was heartbroken as many traditional circuses closed their doors, culminating with the shuttering of Ringling Bros, the very show that brought my family to the United States. 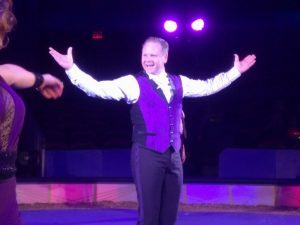 That’s why it’s so special for me to be invited by the Big Apple Circus to headline this 40th edition” – Nik Wallenda. Nik holds ten world records including the highest 8-person pyramid on wire, highest and longest bicycle ride, the first person to walk across Niagara Falls, first person across The Grand Canyon (broadcast to 178 countries), highest incline, and highest blindfolded wire walks. 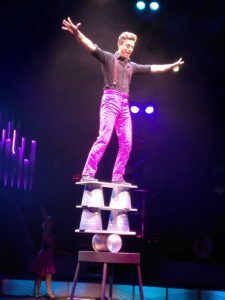 He is a 7th generation member of the Wallenda family. In 1947 the legendary Karl Wallenda premiered the 7-person (three level) pyramid. The family performed it for 14 years but in 1962 at a performance in Detroit the pyramid collapsed and several performers were killed. The act was retired until 1999 when it was reborn, with Nik as the youngest member of the troop at the time. 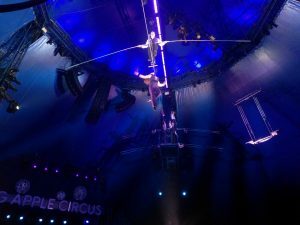 Nik’s wife, Erendira Vasques Wallenda, is an eighth generation performer on her mother’s side, a member of the Astons of Australia, the 3rd oldest circus family in the world. On her father’s side she is a member of the Vasques family, seventh generation from Mexico, who were known as the first to perform the quadruple summersault on the flying trapeze. The Wallendas go back seven generations to the Austo-Hungarian empire in 1780. The circus opens with Jan Damm on Rola Bola. Originally from Maine, Jan has trained with Avner Eisenberg, Fritz Grobe, Lu Yi, Jeff Raz, and John Gilkey. 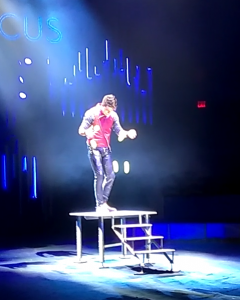 He has performed with Silhouette, Celebrity Cruises, Montreal’s Festival Complement Cirque, Cirque Mechanics on Broadway, Circus Bella, Circus Zoppe, Flynn Creek Circus, and with Clowns Without Borders. 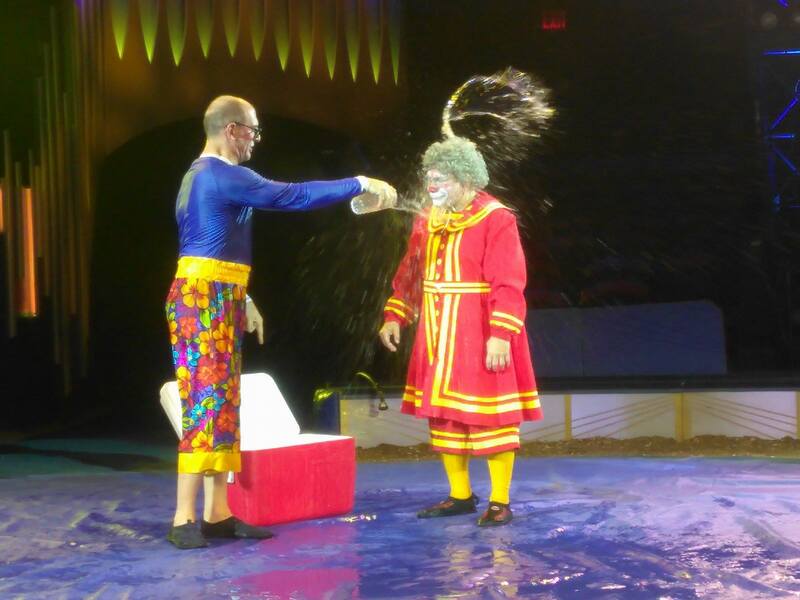 He was also a coach for Circus Smirkus. 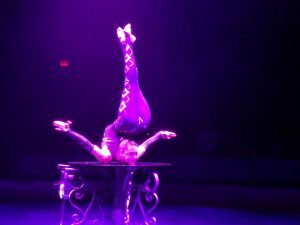 Jan’s act consists of hand-stands on the Rola Bola, jumping rope, contortion through rings and a hand-stand on a double decker stack. Elayne Kramer is next with one arm hand stands and contortion including a backwards bend and bow and arrow shot with her feet. 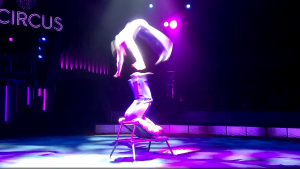 25-year-old Elayne is a 6thgeneration circus performer from Argentina. Jenny Vidbel is the next up with her terrific trained horse routine. She also returns in the second half with her trained dogs. 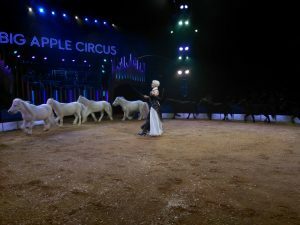 Her horses, ponies, and miniature horses circle around the ring in numerous patterns with astonishing grace and power. 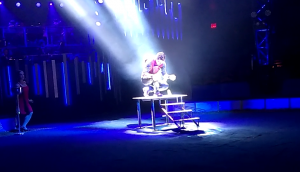 Jenny is a third generation animal trainer and has performed with Big Apple Circus for the last 6 years. She is the only returning act, other than the clowns. She trains her pets in Upstate New York on her farm in the Catskill Mountains. 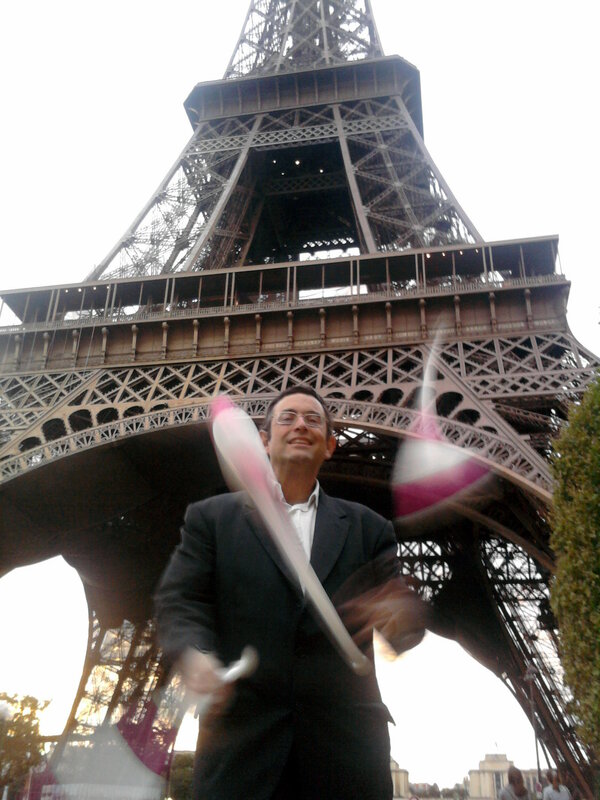 Next up, Gamal Garcia Tuniziani, featured toss-juggler. Gamal lives in Las Vegas but is originally from Argentina. Gamal begins with extremely low, fast, double and triple spins with three clubs. A shoulder throw directly into over the head throws and catches, back to cascade and a balance stall, club on club. A balance on the chin, drop down to a catch between the knees. One up 360s, fountain, to double spin, then single spin back-crosses. A behind the back hand-off, some behind the back catches, and a one up forward roll. Next quick combos-alberts, treblas, back crosses,a 360 and finishing with a behind the knee catch. With five clubs, double and triple spins. Then to his unique and most difficult trick. Facing forward he stands in front of four steps up to a platform in back of him. 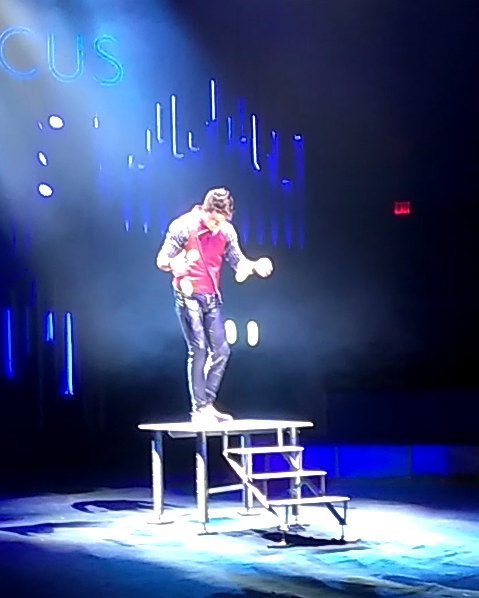 While cascading five clubs he walks backwards up the steps to the platform. Strong applause met the palpable release of tension. Next while on the platform three balls in a force bounce in patterns and body throws. Five balls in a force bounce and very small pattern in a lift bounce. And finished with 22 catches of a seven ball lift bounce. Low fast throws with clubs and seven balls on a small platform and no drops made for a very effective routine. An interview with Gamal will follow in an upcoming article on eJuggle. Next up, Flying Trapeze. The Tuniziani family from Argentina consist of five brothers. 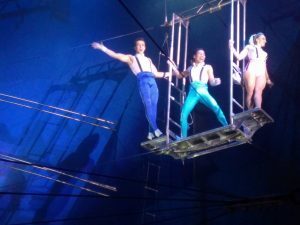 Three are in the trapeze act, including Ahmed the leader, plus his wife Estefani Evens. 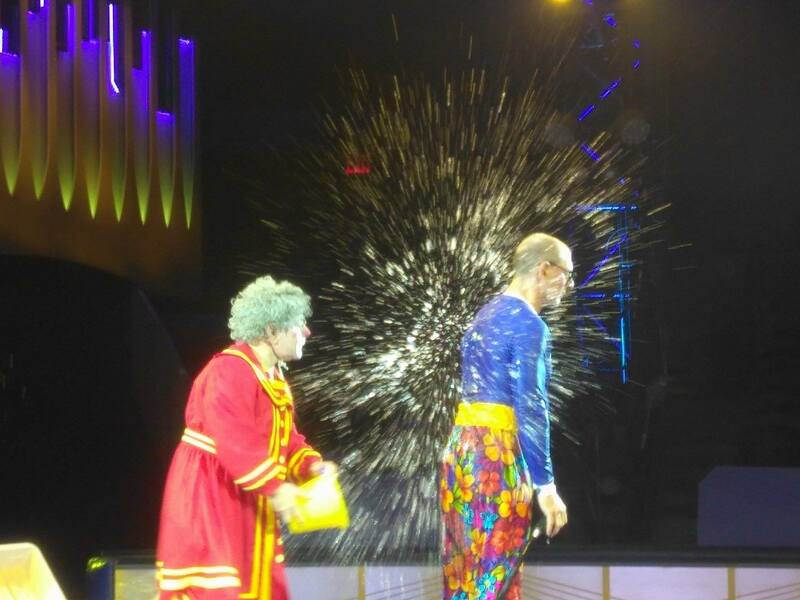 The other two brothers are Gamal, the featured juggler, and Dandino the Roller Skater. 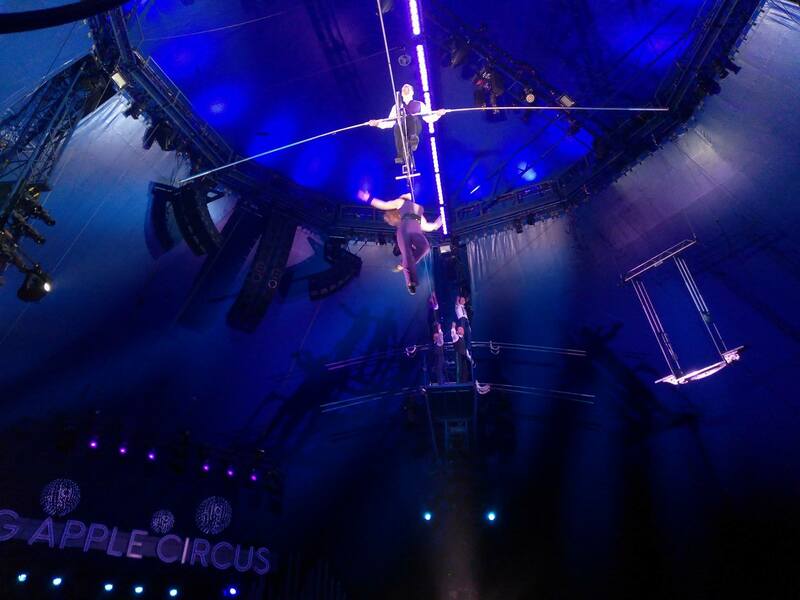 The trapeze flyers finished off the first act with solid stunts including a triple somersault and a quadruple somersault. 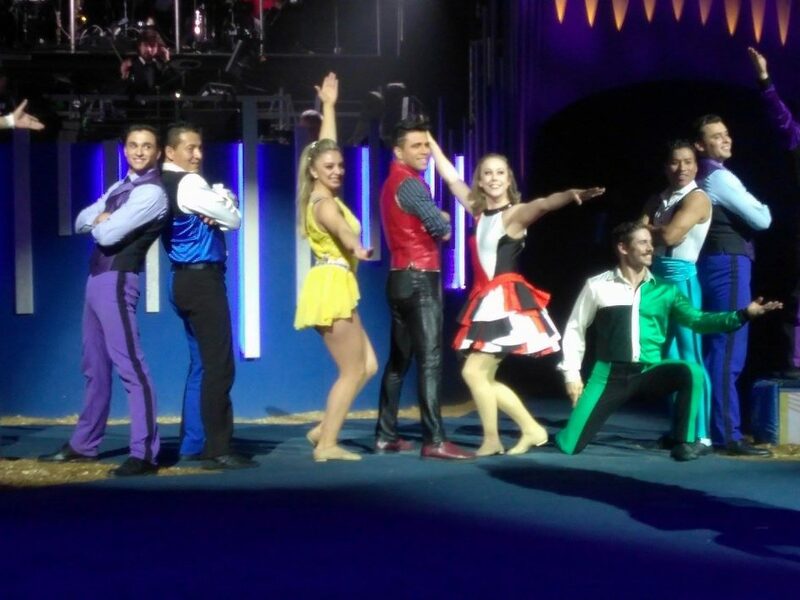 After a short intermission Dandino and his wife Luciana did their Roller Skate act which combined elements of dance, acrobatics, and danger. The Anastasini Brothers, Giuliano and Fabio, are eighth generation circus boys with an Italian, Mexican, and American background. They have performed in Europe, Japan, and Australia since they started their Risley act in 2004. They begin with a simple flip and expand upon that doing more flips and more and more difficult variations- flip with a twist, flip to land on both feet, land on one foot, flip forward, flip backward, and finally a double flip to twenty straight single flips in a row. Risley, or “Icarian Foot Juggling” acts are experiencing a revival. Its also economic, being as the jugglers need no props, they only juggle each other. Between acts, clowns Grandma and Mr. Joel kept the kids laughing with their original routines- horn honking, water splashing, and lip sync. 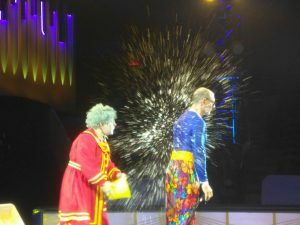 Their list of accolades separately and as a team is a mile long including International Clown Hall of Fame and numerous Hollywood film appearances. This 40th anniversary performance of Big Apple will continue in New York’s Lincoln Center until January 13th. It will then travel to Boston, Atlanta, back to New York for performances in Queens, and then on from there. The organization has rebooted the administration, and changed from a not-for-profit one to a yes-hopefully-for-profit one, after having missed a full year of performances in 2016. Neil Kahanovitz(Chairman) and Michael Couper (CEO) worked relentlessly to bring BAC back to life and give it the spirit and quality needed to continue for years to come. Raphael Harris was the proprietor of the Jerusalem Circus School for Children for over ten years. 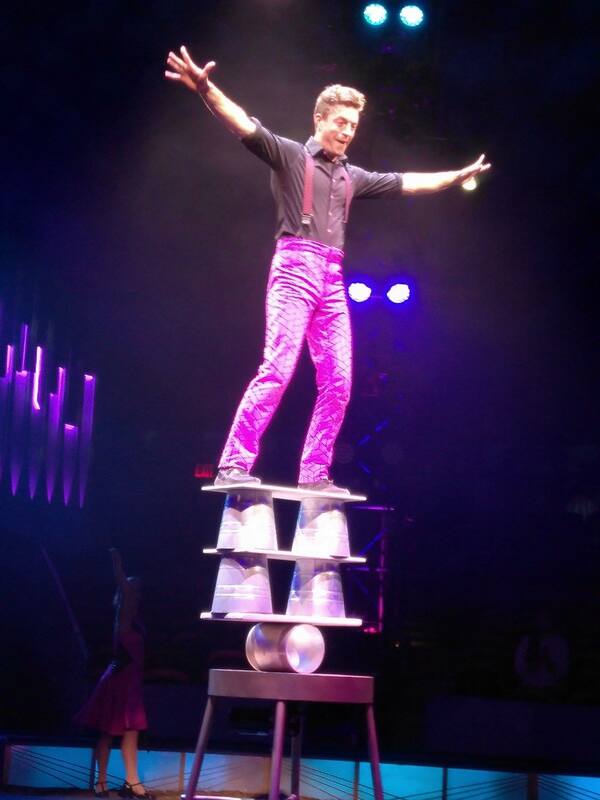 He has performed "Sir Juggley's One Man Circus" over a thousand times. He appeared in the Guiness Book of World Records twice and the Record Setters Book of World Records three times. He lives in New York. 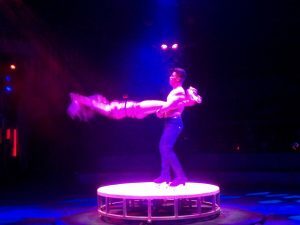 This extraordinary family has received rave reviews from cruise ships, fairs, festivals, theaters, and corporate events. They’ll have you on the edge of your seat, and rolling on the ﬂoor laughing at the same time ...if that's possible. Circonvención Mexicana has begun - with SO many incredible jugglers!! This video features Brayan Poblador of the North Side of México! Felicidades al ganador del 3er lugar🥉en la IRC Centroamérica 2019 - Bryan Argueta de El Salvador 🇸🇻!!! Congratulations to the Bronze Medalist 🥉of IRC Central America 2019 - Bryan Argueta of El Salvador 🇸🇻!